People seem to have a love/hate relationship with the annual holiday of love. But come February every year, love it/hate it/lovelove it/hatehate it, it gets pretty hard to ignore Valentine’s Day. If you’d rather skip the standard cards/chocolates/dinner date and make Valentine’s Day week an excuse to celebrate your friends with your friends, we’ve stumbled on a few good options. Specifically, these are Galentine’s Day celebrations, so they’re angled toward celebrating the women of Nashville (and the world), though they’re not all exclusively for women. Since none of them are actually on February 14, any of these might suit your Valentine’s week plans, whether you’re man or woman, single or attached. Point worth mentioning: Almost all of these include snacks. For this East Nashville celebration, focus is on celebrating women, but it’s not exclusively for women. So gentlemen, if you’ve been itching to get a mini boudoir photo session done, or get in a tarot reading, here’s your chance. Other offerings: a Build Your Own Body Scrub bar with Ophie’s Soaps, vintage lingerie shopping with Cybelle Elena, flash tattoos from Sage and Serpent and more. When: Sunday, Feb. 11, 2 – 7 p.m. Into crafting? Nashville Craft Party has the Galentine’s Day hang for you: At their Galentine’s Day 2018 party, you’ll be able to partake in a floral bouquet bar, decorate sweet treats, do some sugar scrub crafting, and relax with a mini massage. Snacks and drinks, too. When: Tuesday, Feb. 13, 7 – 9 p.m. Celebrating women can come in many forms. For indie-classical ensemble Sound Riot, it means a special Galentine’s Day concert focused entirely on works written by female composers, in support of local women in need — instead of an admission fee, they’ll be collecting new and gently used clothing to donate to Dress for Success Nashville, a local nonprofit that empowers women with support, professional attire and more. “Modern culinary events” team Juniper Green is throwing a party meant to “pamper and celebrate women,” with proceeds going to Nashville organization Thistle Farms. Along with light bites (from a Juniper Green-designed menu, including beet hummus crostini, berry chocolate cupcakes and lots more) and champagne cocktails, the event offers lots of beauty care options (nail art, skin care consults, make-up touch ups), plus tarot card readings. 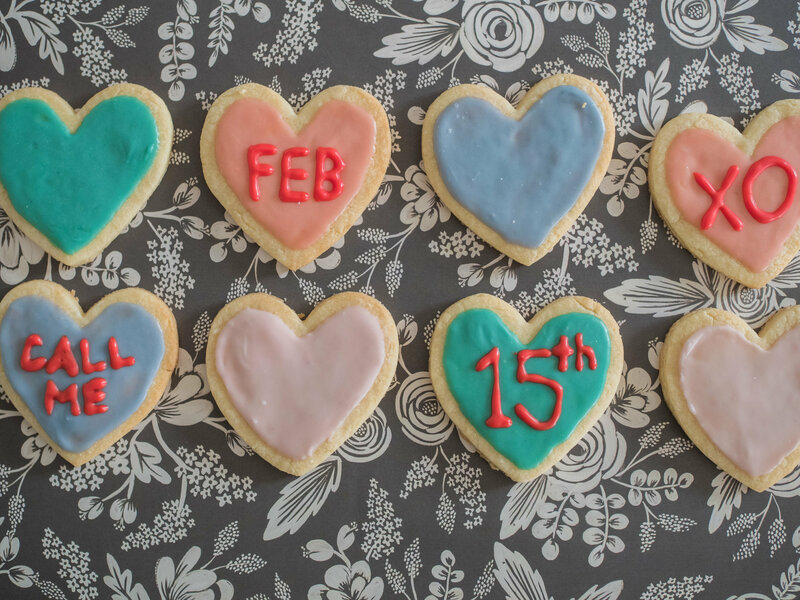 Added Valentine’s-y fun: a cookie decorating station with conversation heart cookies you can customize. Have a pro- or anti-Valentine’s message you’re dying to get out in sugar form? Done. When: Thursday, February 15, 6:30 – 8:30 p.m. However you decide to celebrate Galentine’s/Valentine’s Day, we hope you’re feeling lots of love this month/year/forever. Thinking about gifting someone special — like yourself — with a new Nashville dream home this month? Our hearts would burst at the chance to help you find it. Reach ACRE here, or for an easy way to get your Nashville househunting process started, fill out this quick form.